There are times when we reach the most extreme of possible exhaustion, that where one feels tired of “always being tired”. It may seem ironic, but although it is hard to believe, this feeling goes far beyond more physical fatigue. We speak, first of all, of a mental state where the person begins to feel vulnerable, lack of personal resources and frustrated by not being able to fulfill the day-to-day objectives. Few situations can be more exhausting than that of feeling angry at oneself for not arriving, for not responding to others as you would like and for not enjoying a physical and emotional well-being were to have an adequate quality of life. Today in our space we want to explain to you what this kind of common state is due to and, above all, how we can face it. You are neglecting yourself too much: start focusing on yourself. Sometimes, we forget that our body and our mind are attributes of a human being, not a robot of incombustible energy. Your body needs to rest and do it, allow yourself a few hours of relaxation a day and one or two days of rest a week, does not mean you do less or that you neglect your obligations. Focusing on meeting other people’s expectations, doing more than what they ask of us and focusing all our attention on others, sooner or later, it takes its toll. Nourishing ourselves from time to time with moments of solitude, leisure and well-being are synonymous with health. Reflect on these ideas and allow yourself what you need so much: prioritize yourself. Let’s face it, a lot of us are obsessed with everything that is beyond our control. We would like this and that person to realize certain things. We would like that many of those around us will act as we expect. Sometimes, we also make the following mistake: invest time and energy in lost causes. We do everything possible so that our friend or brother, for example, change their attitude, mood or behavior with the idea that they are happier. However, if they do not do their part, they will not get it just with us telling them. We must focus exclusively on what is within our reach, on what we can control and where we see clear results. Otherwise, the only thing we will achieve is to bang our heads against the wall by investing so much of ourselves in impossible causes. Although it is true that setting goals on the horizon are good and recommendable, what is no longer so is to build expectations that are too high or to set objectives that do not depend on ourselves. In these latter cases, it is most likely that many of our wishes never happen. The feeling of repeated failure causes one to end up tired and lacking in hope. Let us, therefore, learn to establish more credible goals that are more adjusted to our reality. The primary purpose of our mind and our brain is to protect us. If I always feel tired, there is a physical or emotional imbalance that I must attend. We cannot forget that both pain and suffering itself are the wake-up call of our brain to stop and discover what causes this discomfort. In case of not listening to our mind, in case of ignoring that tired body, the exhaustion will accumulate even more until reaching a state of true helplessness. You are a person who has achieved many things. That has faced more than one difficult moment, to more than one adversity. You have admirable virtues, strengths that one day gave you great results … Have you forgotten maybe everything you are worth, everything you have done and achieved? Take yourself seriously, value yourself, love yourself. If you are tired, give yourself rest. If you are worried, give yourself peace. If you feel obfuscated, calm yourself down. If they ask too much of you, get rid of certain people. If you have forgotten how much you are worth, make an appointment with yourself to reconcile with your being, with your emotions and identity. Learn to say no and you will discover something amazing: the world does not end. Create a vision of how you want to see and feel within a year. Start working on that idea every day. Telling others “today I’m not for anyone” is not a crime, it’s health. 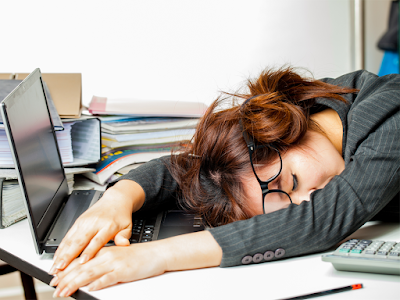 Find out the “why” of your fatigue. Avoid leaving for tomorrow the discomfort you feel today. Surround yourself with people who make you smile. Stop sharing time with people who steal your calm, energy and tempers. Read books that show you new realities, that offer improvement strategies. Give yourself time for yourself in solitude. Living the moment also means knowing how to listen to one’s body to give it what it needs at each moment. If you need rest because you feel tired, obey your needs: rest. It’s that simple. Living consciously, being receptive to what surrounds us and tells us our interior is a key to mental health that we must practice daily. Do not hesitate to put these tips into practice. Sometimes, the smallest changes bring great results.